We’re now an approved Developer and Publisher for PlayStation Vita! If you’ve read our E3 Diaries from last year you’ll know that we’ve been speaking to Sony for a while now about developing for the PlayStation Vita. Most of the discussions have involved trying to find the right person to speak to so we can move the process forward – gotta love these big companies! Well, we finally found the right person and the process was relatively painless once they had reviewed a couple of our pitches. It probably also helped that we were already approved PS3 developers. The most difficult part of the process was keeping quiet about it. Sony were keen to wait and make a developer announcement at Sydney’s PlayStation Vita launch party. So we kept it under wraps and in the meantime ordered a development kit to see what the system was capable of. 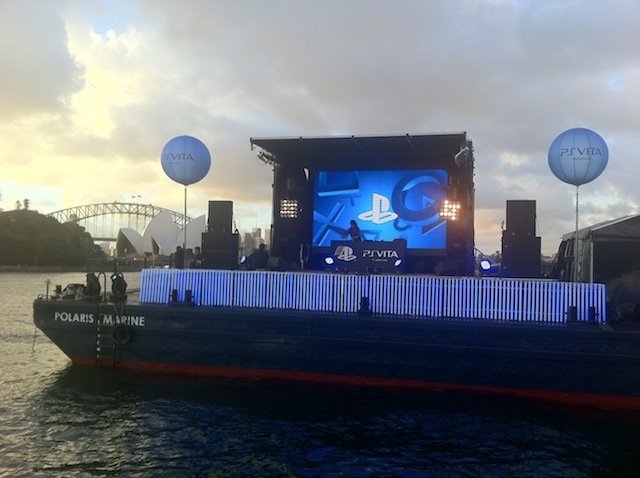 We were invited to the launch party and told to turn up at a wharf next to the Opera house to be transported to a venue on Sydney harbour. The “venue” turned out to be two floating platforms, one for the guests to eat, drink and play with the PlayStation Vitas and one for the speeches and entertainment. So we were whisked off by boat to the party and greeted with Champagne and Mojitos. The rest is all a bit of a blur. Man, these Sony types really know how to throw a party! We’ve nearly decided what our first game for the PlayStation Vita will be so expect an announcement very soon! Nic was recently interviewed by UK games site Cane and Rinse. They wanted to chat about how a Scotsman ended up starting a video games business in Sydney and what WiiWare development is like. They also wanted to know about the design and music of escapeVektor: Chapter 1 and of course Spirit Hunters Inc. Have a listen to this illuminating chat. 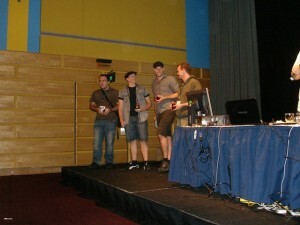 Nnooo was one of the sponsors of this year’s Sydney Game Jam. Sydney’s Game Jam event is part of the Global Game Jam movement, where for 48 hours over a weekend in January, games makers, whether they are amateur or professional, form themselves into small teams to create a playable game from scratch. It’s amazing what can be created in such a short space of time, and incredible that this happens around the world over one weekend. At the time of writing this article, over 1,400 games had been registered with the Global Game Jam site. The Nnooo team was in attendance at the Sydney event, with Steven offering help where needed and Nic a member of the judging panel. It’s a serious business making a game in 48 hours but the atmosphere is overwhelmingly one of co-operation and sharing knowledge between teams. 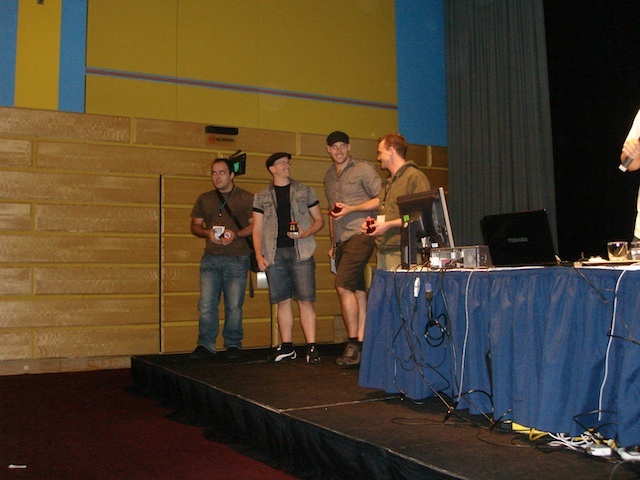 The picture below shows the winning team at the Sydney event, Team Inevitable whose game was called Press 3 to Breed. You can see more pictures on our Facebook site. Click here to access the album. Matt Sainsbury from website gamesandbiz recently paid us a visit, chatted to Nic about Nnooo (present and future), the 3DS and other palatforms, then took a few pics. 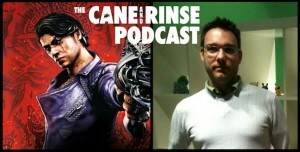 See below for the full interview or click here for a link to the gamesandbiz site for the interview and pics. UK-born, Nic Watt’s pet project, Nnooo, has found remarkable success from a digital download platform that many dismiss – thanks in large part to Nintendo’s DSiWare platform, Watt has expanded his small team to four, and is now on the hunt for a senior programmer to expand further.